Very cute <3 thanks for sharing! Good grief, what was the artist thinking? Pink kimono + bishie = large step into homoland! But he looks so happy, so I guess it's AOK, haha! Die Katzte ist so niedlich. mm! yummi!nyanko sensei go for the food! 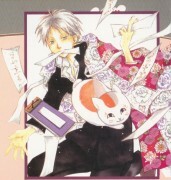 There are paw prints on Natsume's pink kimono...this is too amusing. kawai art! 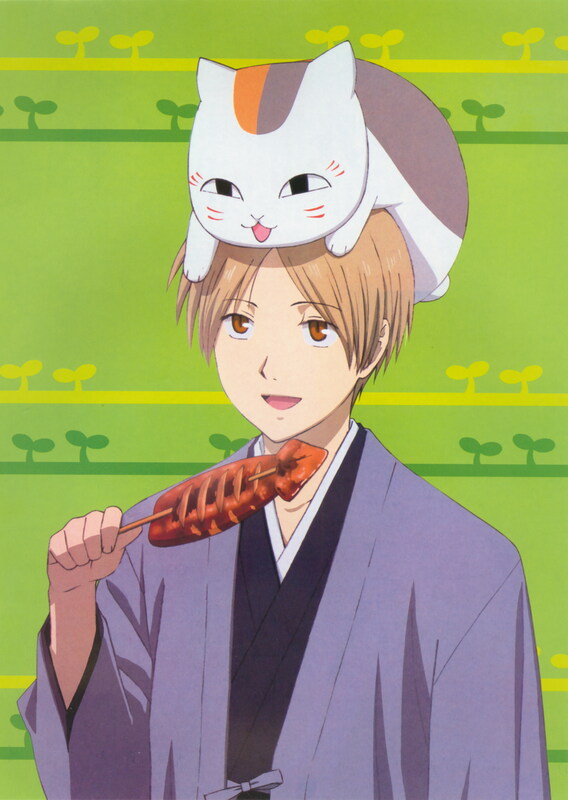 Both - Natsume & Nyanko-sensei are so cute! Very clear scan! <3 Is that fish he's eating?